For Scandinavian stamp collectors, Swedish stamps provide a rich map to the history and culture of the county. The postal service has a long history in Sweden going all the way back to 1636 when Alex Oxenstierna, a man who played a key role in the modernization of Sweden in the 17th century, established a mail service. By the 18th century, this service extended throughout the country of Sweden. However, the first actual Swedish stamp was not issued until over 200 years later. On July 1st, 1855, the state issued a stamp worth five different values. Each stamp featured the coat of arms along with the inscription of “SVERIGE”, which means Sweden, and all of the stamps following that would feature this design until 8 years later. The only hiccup in this system was in 1858 when the currency changed from the ore to the riskdaler, they had to actually reissue all of stamps in 1858. 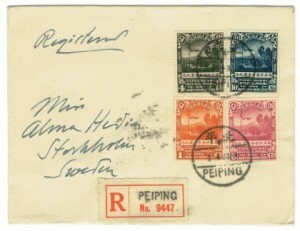 Starting in 1862, stamps would evolve to the ever-changing Swedish culture. First there was a reclining lion. Along the way, many monarchs have been displayed on the stamp in beautiful portraits. 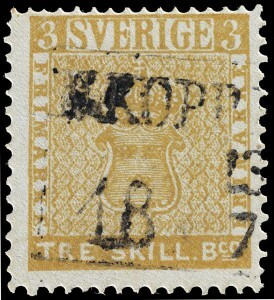 A very unique piece in Swedish collection is the Treskilling Yellow stamp which features an error. There was even a lawsuit involved the Treskilling Yellow Stamps where a baron and his wife sued a bank for the disappearance of nine of these invaluable stamps from a trunk they had stored in the bank from 1986 to 2004. A philatelic expert claimed these stamps would be worth 3.7 million pounds sterling. From Sweden to Switzerland, Treasure Coast Stamps offers a wide variety of stamp treasures for Scandinavian stamp collectors and European stamp collectors alike. Contact them today if you want to see what Swedish stamps they have to offer.